Add a touch of elegance mixed with old world charm with our Organza Old Willow Mono Ribbon. RIB8WIL is 1/8" thick and is perfect for special gifts, announcements, floral arrangements, and memory books. This mono style ribbon has a sheer texture and thin satin edges. For a hint of nostalgia and an antique feel, you can't go wrong with our RIB8WIL Organza Old Willow Mono Ribbon. 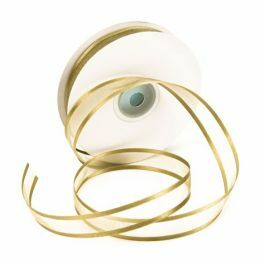 This ribbon is a thin 1/8" width and works great with gifts, invitations, memory books, and decorations. The fabric offers a see-through, shimmering texture for an upscale look. 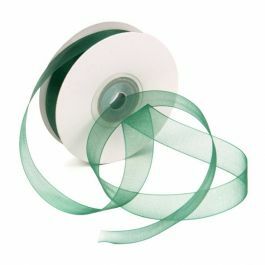 The mono style ribbon is made of 100% sheer nylon material and has a thin satin edge. 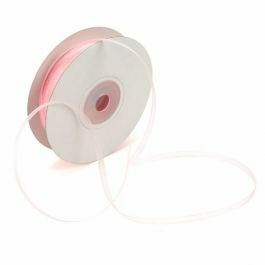 The primary use of RIB8WIL Organza ribbon is to decorate gifts or tie up favor bags.